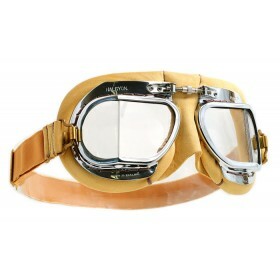 Brown leather face mask, elasticated head band with leather tabs, split lenses, highly polished and brass goggle frames. Brass knurled-screw nose bridge adjustment. 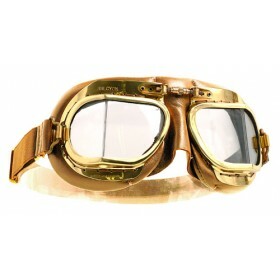 The polished brass finish of the Mark 49 Antique goggle gives the impression of a really vintage product. 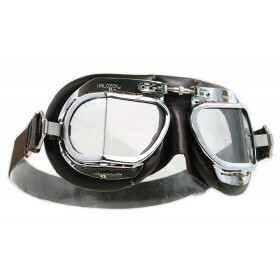 And looks great with a very old classic scooter or motorcycle. 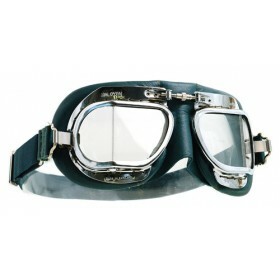 The brass frame is polished to a mirror finish It is then hand stitched to a soft leather face mask. 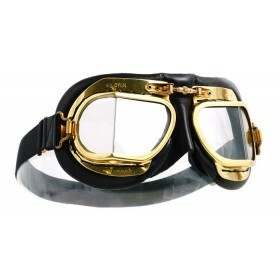 The nose bridge screw is made from brass and offers fine adjustment. 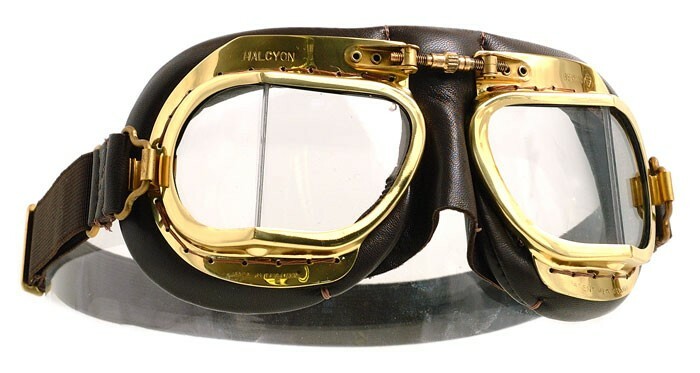 The lenses are made from a good quality polycarbonate that is treated with a scratch resistant coating to prevent damage to the surface. 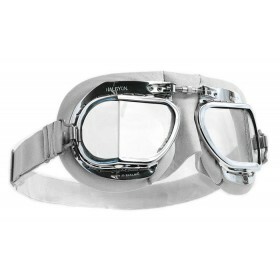 Each lens is housed in an independent frame that can be easily removed from the goggle to allow replacements to be fitted or to simple switch them with tinted lenses if the sun happens to be shining.